When we first started going to Walt Disney World with our now one year old it was tough. As first-time parents we didn’t really understand just how crucial keeping our little guy on a schedule was. He slept most of the day in his stroller, and because of that he’d want to party all night. Chris and I were exhausted. Between partying, getting up for feedings, and diaper changes I was barely getting two to three solid hours of sleep each night. There had to be a better way. And that’s when we realized that having a routine was crucial for keeping kids happy at Walt Disney World! Before Chris and I had a baby we’d get up around noon each day and make our way to the parks in the early afternoon. And of course, we would stay until close each night. Now with a baby we’re getting up early and leaving the parks long before they close. It’s hard to adjust to that since we’ve been going to Walt Disney World(by ourselves) since 2011, but we can’t complain because seeing Walt Disney World through our little boy’s eyes is so fun. But that’s not to say that going to Walt Disney World with a baby isn’t hard. Because it is. The parks are over-stimulating, there are loads of people, and it’s hot (if you travel in the summer!). And if you don’t stick to a routine in some way then you’ll suffer. And you don’t want to all be miserable when you’re at the happiest place on earth! 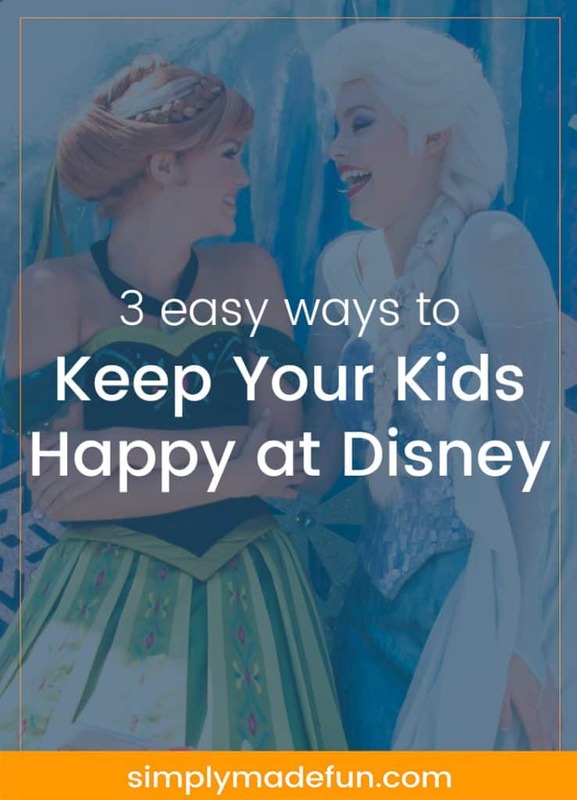 These are the three things we do to keep kids happy at Walt Disney World! * Get a good night’s rest! A quick tip: If you’re staying on-property at Walt Disney World you can request a pack and play be sent to your room. We’ve done that each time and it works out very well. It’s what our little boy sleeps in at home so we know he’ll be comfortable in one at Walt Disney World, and he always tends to sleep well in it. One thing we do to make sure he (and we!) sleep well is keep him snug and dry during the night. We’re very lucky that he doesn’t have any accidents (and hasn’t since he first came home) but I credit that to using Huggies Little Snugglers diapers. Because these diapers have up t0 12-hour leak lock protection they always served us well at night and let’s our little guy sleep comfortably without soaking through his diaper or the sheets. They’re also soft and absorbent, which lets him sleep longer and deeper so that when he wakes up in the morning we’re all ready to get going! At home we have a very strict bedtime routine. We eat a big meal before bed, do bathtime, read a book, breastfeed for a little while, and then hang out in the rocker until the little guy falls asleep. Usually he’s in bed between 7 and 7:30, and that is a routine that works very well for us. But at Walt Disney World I love staying for the nighttime entertainment, and that usually starts after 7pm. On our last trip Chris offered to go back to the room early each night to put our little guy to bed so that I could stay and watch shows or take pictures. Any other time I would’ve been all about it but I was so tired from our early mornings that I ended up going back with them and fell asleep early. This ended up working out for us because our little guy slept so much better if we put him in bed before 8pm each night and made sure to do our nightly routine with him! We’re still on a two nap a day schedule at home, and I know I’ll be sad when he wants to give up the second nap. Though, one nap a day may work out better for when we’re at Walt Disney World! At each park, Walt Disney World has a Baby Care Center when parents can go with their kids to get away from crowds, hang out in the ac, change diapers, watch a movie, eat, or even color. It’s a nice little get-away from the hustle and bustle, and whenever we need a break we head to the Baby Center. To be honest, I had no idea that Walt Disney World even had a Baby Care Center up until last year. I mean, I walked by them all the time but I never thought anything of it. I love that they have private rooms for nursing mom’s to feed their babies, water for formula mom’s to use, snacks and medicine (for a small price, of course), and so many other things to make traveling with a child easier. And like everywhere else at Walt Disney World the Cast Members working in the Baby Centers are so nice and helpful. I in no way claim to be an expert on doing Walt Disney World with my little boy. We’ve only been a handful of times with him and we still learn something new each time! Though I will admit that the more we travel with him the more fun it becomes. Watching his face light up when he sees characters and seeing him interact with Mickey at a character meet and greet makes me love Walt Disney World even more (and I’m already a huge fan!). 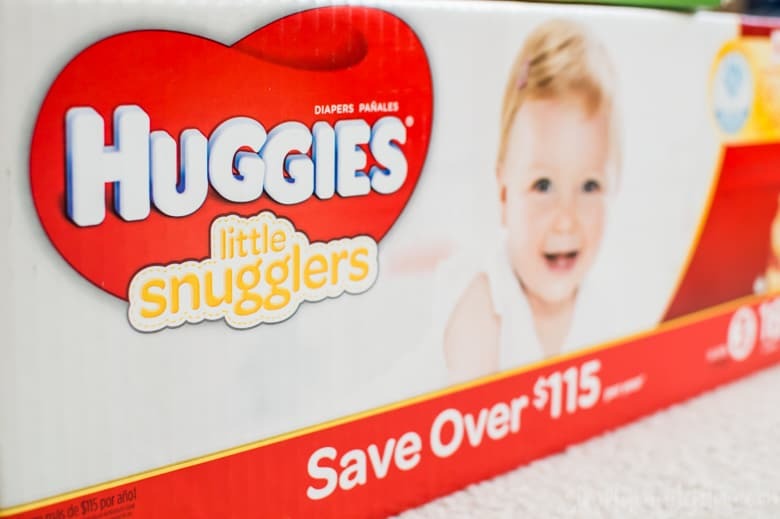 To get ready for an upcoming Walt Disney World vacation you can pick up a large pack of Huggies Little Snugglers at any BJ’s Wholesale in your area! I always go pick up a large box to put in the trunk so that we never run out of diapers while we’re away. And if you’re looking for more Walt Disney World planning information, you can go here! There’s never too much information when it comes to planning your perfect vacation. What tips do you have for visiting Walt Disney World? As a first-time mama I’m always looking for ways to make our vacations stress-free and FUN! Thank you, Melanie! Our first trip was a disaster (of epic proportions) and we learned so much from it! Trips are definitely easier now! i like hearing you keep the little one on routine. I go to disney a lot and see tired cranky kids because parent don’t keep up nap and bedtime routine so the little ones have a rough time. A good nights rest is crucial to get the kiddos to keep up with the long days when you are doing Disney! Great tips! Thank you!! Doing Disney is so much easier and more fun when everyone is well rested. Sleep, breaks, water, and snacks are good ideas for EVERYONE. 🙂 Big kids can get tired too. I felt so bad when I saw little ones having meltdowns at WDW. Hopefully, parents will stop by here before they take their littles to Disney. These are great tips! I so agree that breaks are absolutely necessary. You’ve got to refuel, and so do the kids! Walt Disney World is the happy place! I love all the new options and all the ways you can now save so much money when visiting there! And… these mouse ear hats are always a way to get a smile on anyone! I think all of these will work on my HUSBAND when we go in December. Great tips, especially the getting good rest one! These are some great tips! I don’t have kids yet but these seem pretty spot on! Also I haven’t been to Disney World in soooo long, I hope I get to go back soon! We are huge Disney fans at my house. My rule is “no crying” at Disney..haha!! These are all great tips and will remember this when we head there again! I cannot wait to take my toddler to Disney! We’re thinking Disneyland first though and eventually we’ll tackle Disney World. We just returned from a long trip at WDW. It’s hard to keep them happy sometimes, but its worth the effort for the memories. Disney can be exhausting not only for the little ones but for us grown ups too. So it’s definitely important to keep then happy. I was lucky that my son was potty trained when we went there. These are great tips and all are very important. A well rested child won’t be grumpy that next day. We haven’t gotten the chance to get to Disney yet but I agree rest is key to any day of adventures. Thanks for sharing these tips. Such a cute post – we can’t wait to go to Disney someday! 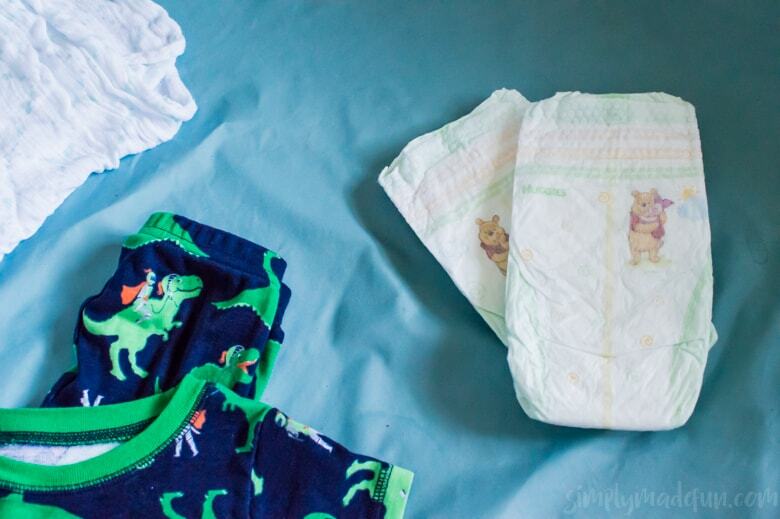 Love those little Pooh diapers! I love this! I have always wanted to take my kids to Disney, but it seems so intimidating! My kids are 1,3, and 5. I keep saying when they’re older, but maybe I’ll brave it! Breaks are essential! It is so easy for kids to get overwhelmed by everything around them. I’ve been to Disneyland once back in 2011. I never had the opportunity to go to Disneyland or Disneyworld as a kid. I’m excited to have kids, so I can see them experience the magic! I’ve sure it takes a lot more preparation when kids are involved! It has been a while since I have been to Disney. They look like they have lots of accommodations now for younger children and their parents.